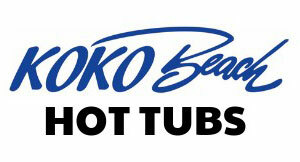 If you're looking for the best swim spas in Edmonton, look no further than Koko Beach Hot Tubs. Whether you are recovering from an injury or trying to jump-start a new, healthier lifestyle, swim spas are a fun and exciting way to help you stay happy and healthy. 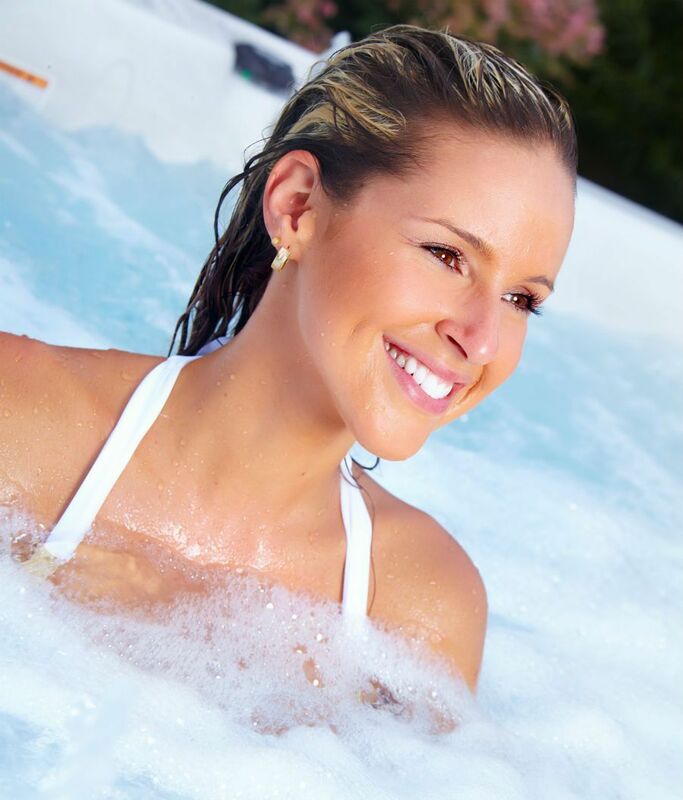 Stop by or call Koko Beach Hot Tubs today to learn more about the benefits of swim spas and pick your model today. 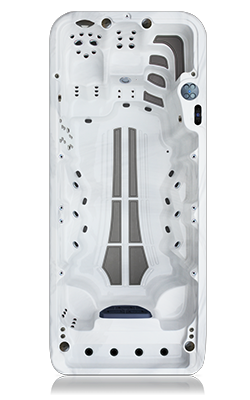 This feature is available only in portable full-size swim spas of the Wellness Infinity or Wellness Infinity Ultra models. The vanishing edge or infinity edge gives you a feel of swimming towards a vanishing wall instead of a wall. You also get to enjoy breathtaking sceneries. 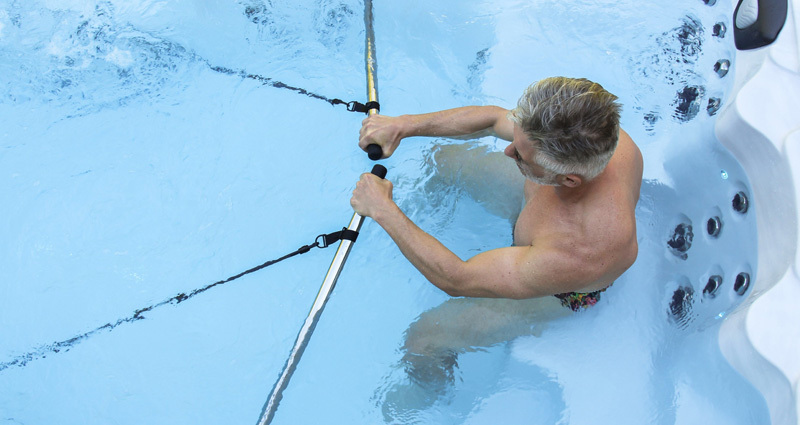 The swim spa river jets are powered by a 4 HP (6BHP) Hyper Flow Jet Pump. 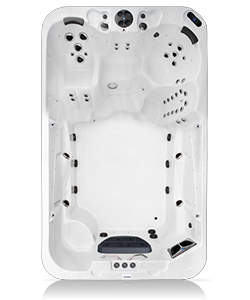 You can choose to have up to 3 River Jets powered by a total of 12 HP (18 BHP) on Coast Spa’s Performance Plus Swim Spa Package, depending on the model you choose. Each river jet is lit to safely guide you towards the direction you need to swim to. 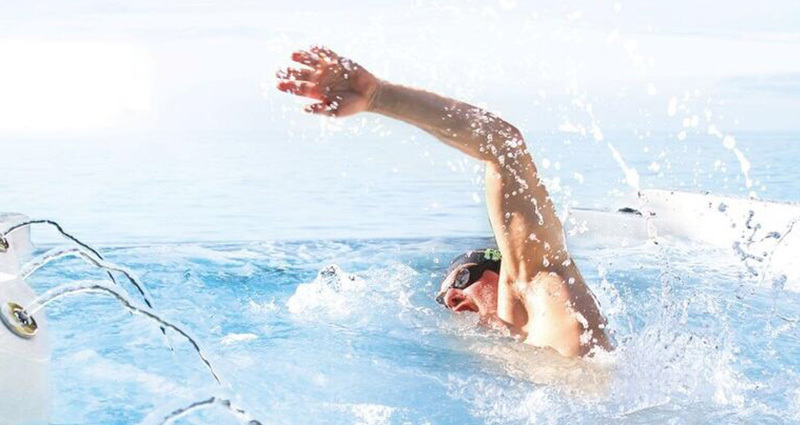 The direction of the water-flow can also be adjusted to suit your swimming style. The swim spas come with buoyancy-simulating levitator jets that recreate the natural buoyancy that you would find in open water. 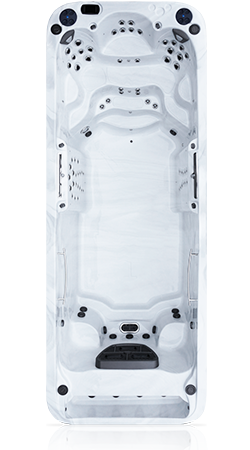 Coast Spas®’ swim spas come with a 175 square feet filter. In North America, it is mandatory for any commercial institution to have a closed pressurized filtration system in any public pool or hot tub. Coast Spas® developed the Hydro Cyclonic Filtration System®, which is a commercial-grade, pressurized filtration system. This filtration system is not only more efficient and faster than a skim filtration system, but it also helps get rid of the dirty filter canisters from the bathing area. 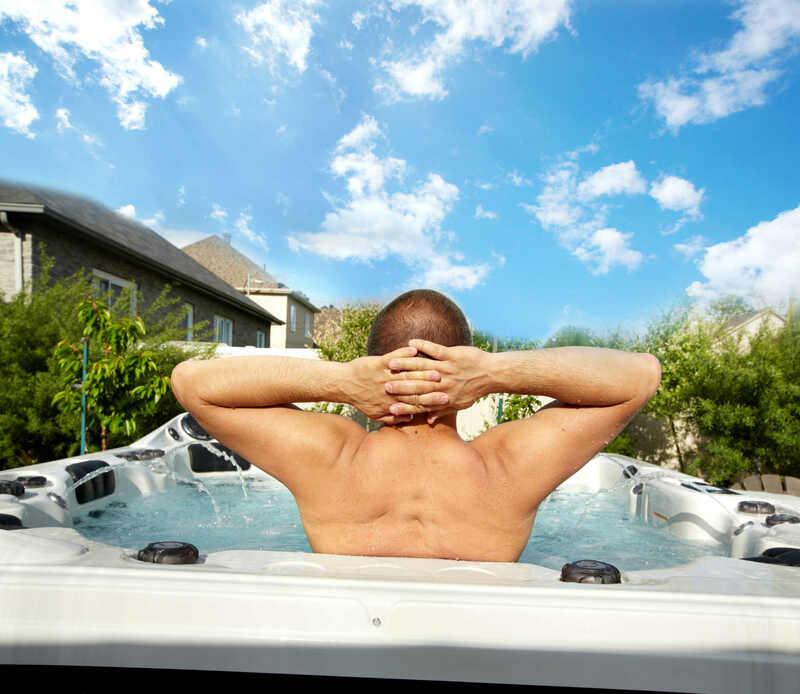 Coast Spas® has collaborated with Owens Corning® to provide the toughest hot tub shells available. 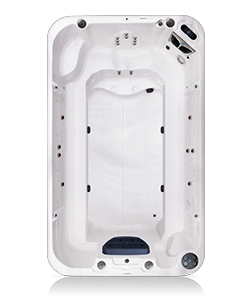 In a Coast Spas® hot tub, the acrylic shell has several layers of fiberglass that are compressed together to make a toughened shell. Steel angle iron is then put onto those compressed layers for added support in specific structural areas. Up to 12 layers of Owens Corning® fiberglass are added to an average-sized Coast Spas®’ model and compressed again, by hand, for complete shell support. From the Monster Flow 7HP pump to the 1.5HP Smart Flow pump, the jet pumps are designed to expel the maximum allowable pressure to the specially designed Luxury Trillium Massage Jets. The highly efficient pumps run on an ultra-low voltage (1.2 Amps for 5HP Super Flow Pumps) during the filtration cycle and at one-third the RPM (3450 high / 1150 low). 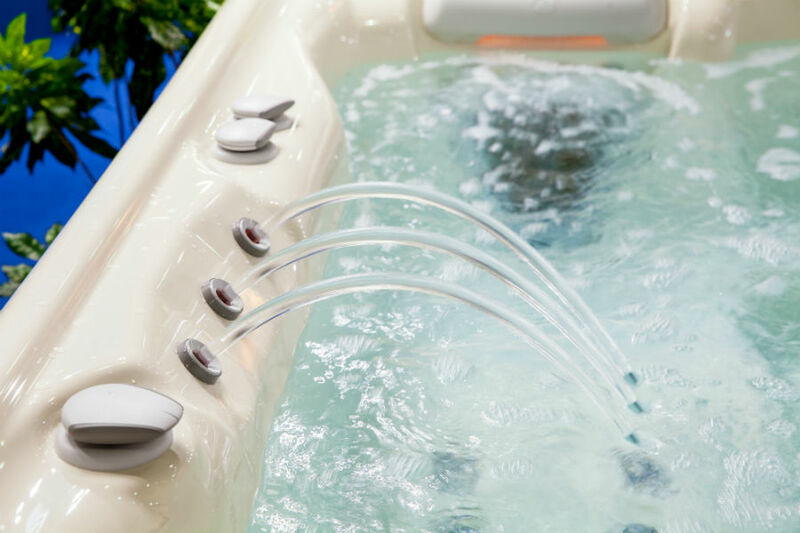 Built for efficiency, the jet pumps by Coast Spas® consume about as much power as your backyard aquarium pump. 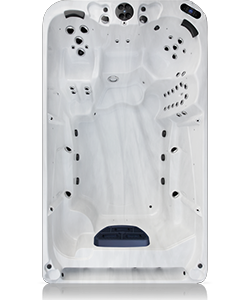 Coast Spas® provides attractive 9" wide sturdy synthetic cabinets that are available with their exclusive Lit Carbon Fiber protective corners. These corners light up at night, automatically triggered by the light sensor. Each synthetic panel is lined with a thick layer of dense foam which has a heat reflective foil that helps prevent heat loss and saves energy. 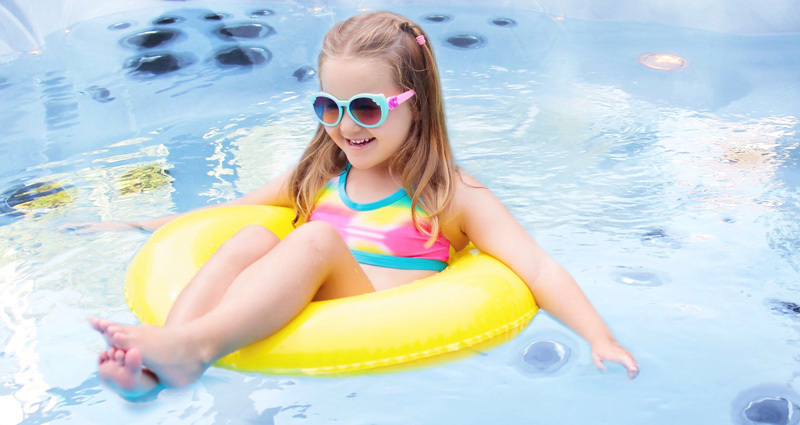 Click here to finance your new swim spa – easy and fast approval!